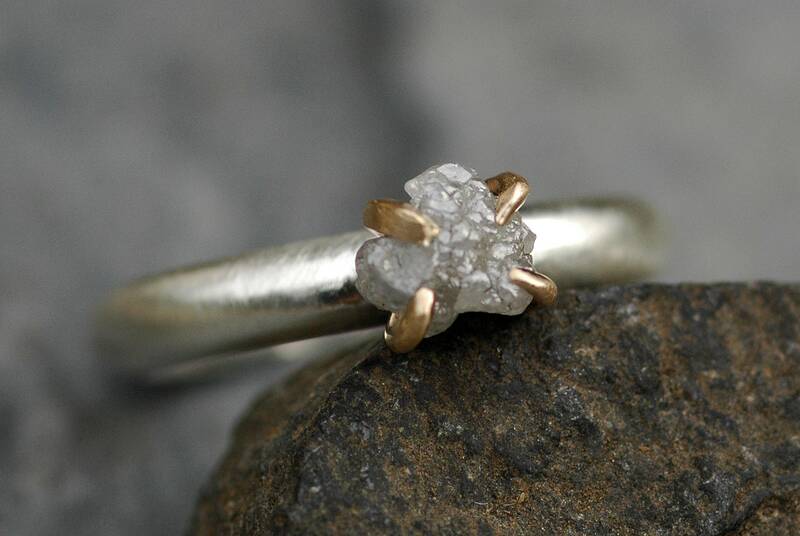 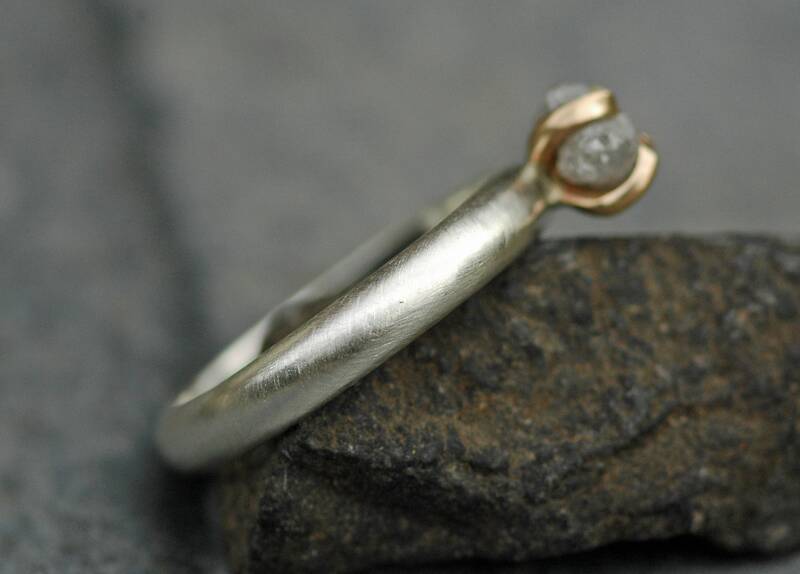 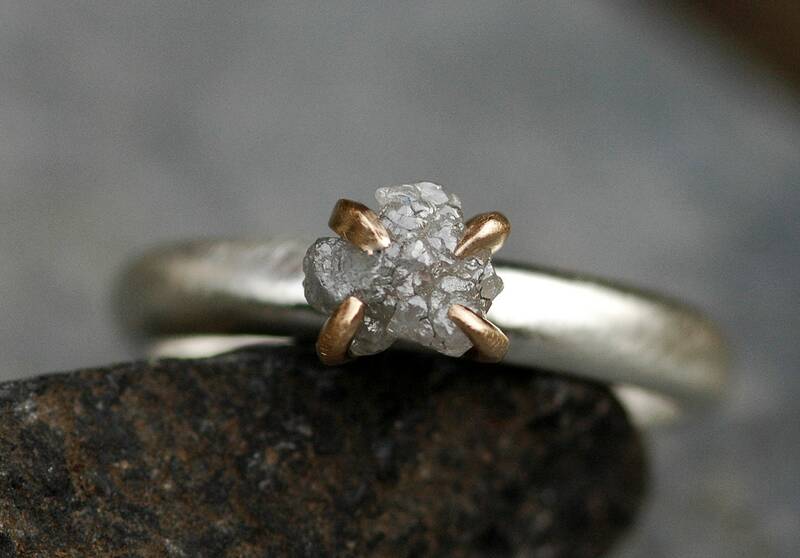 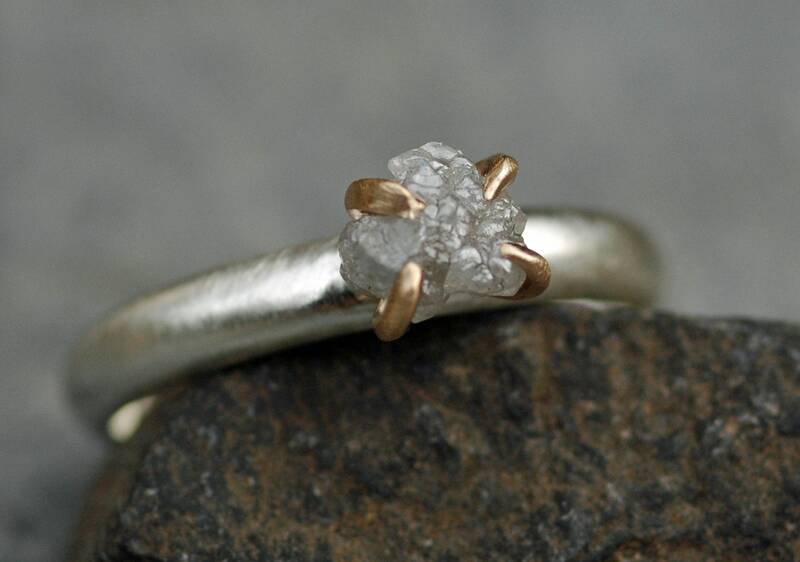 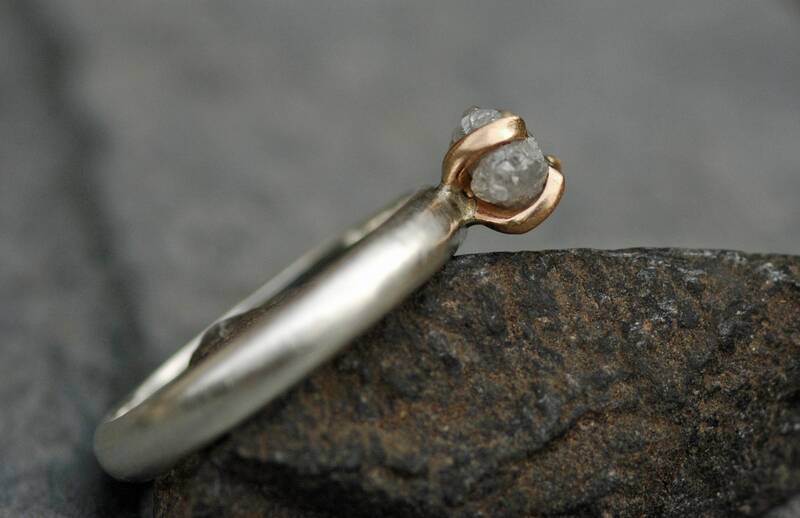 This ring is built around a silver rough diamond. 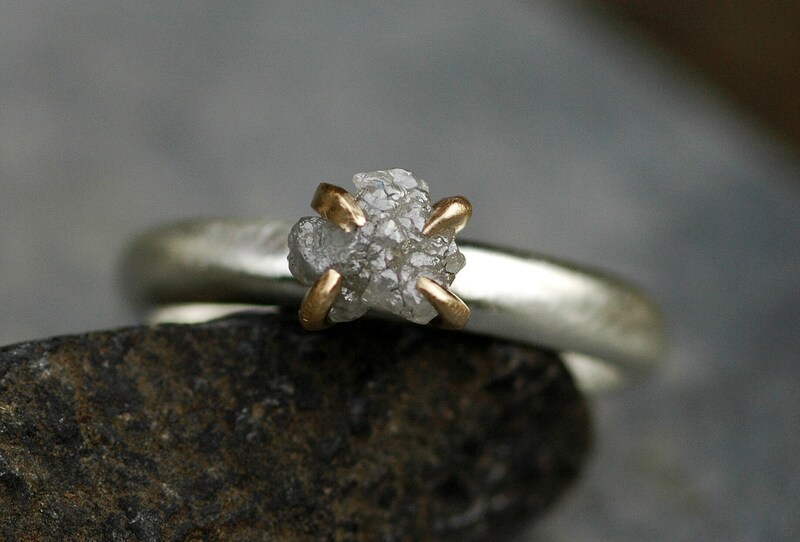 The diamond is conflict free, and the metals used are all recycled. 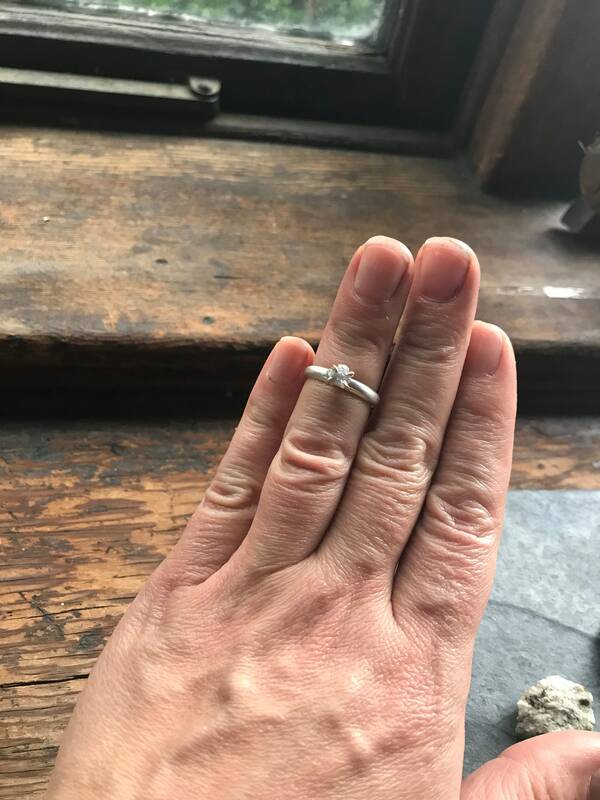 The band is has a brushed finish. 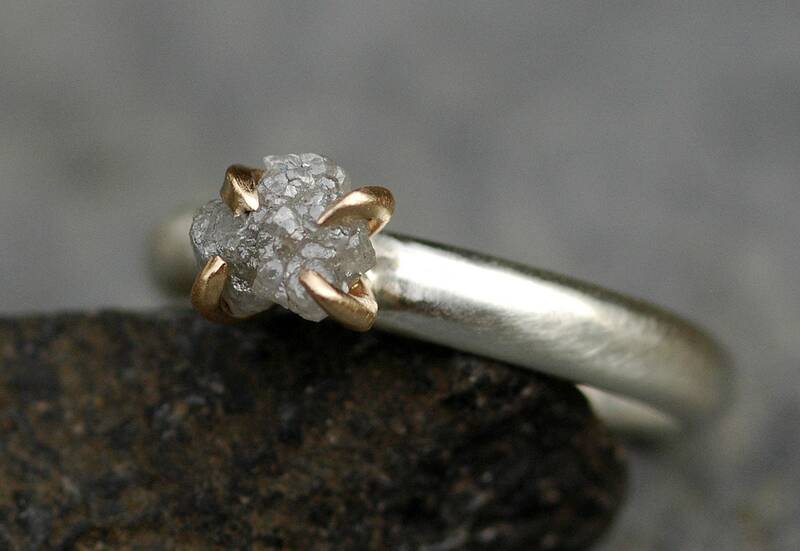 The diamond is brighter in real life, and really glistens in the light.